1-05. same, the same, is the same, the same as, the same thing as, be, am, are, is, to be, being, was, were, been. Lisa sees the same thing. 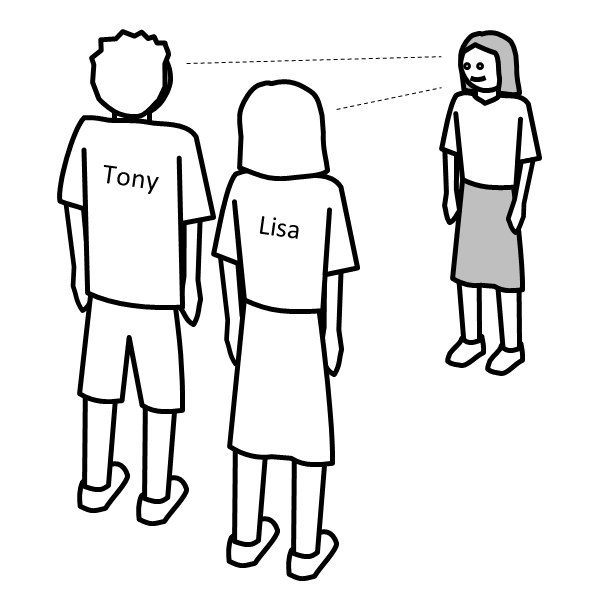 Lisa sees the same thing as Tony sees. 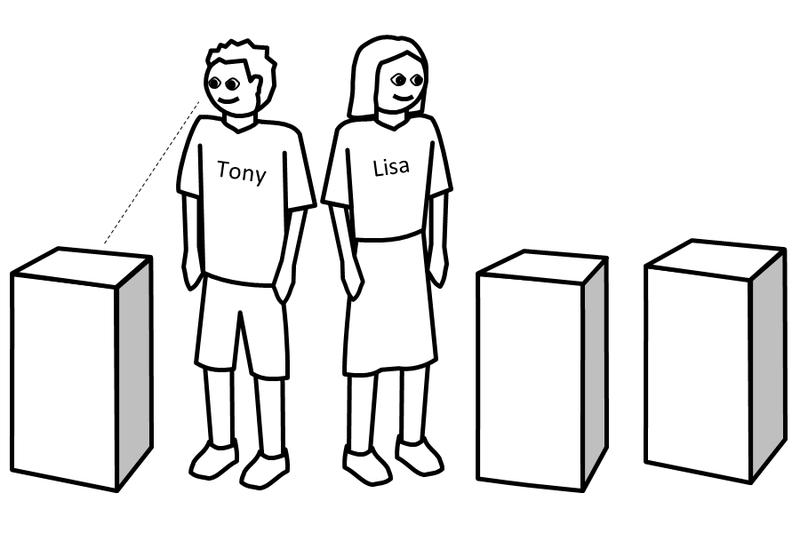 [This thing Lisa sees is what Tony sees.] 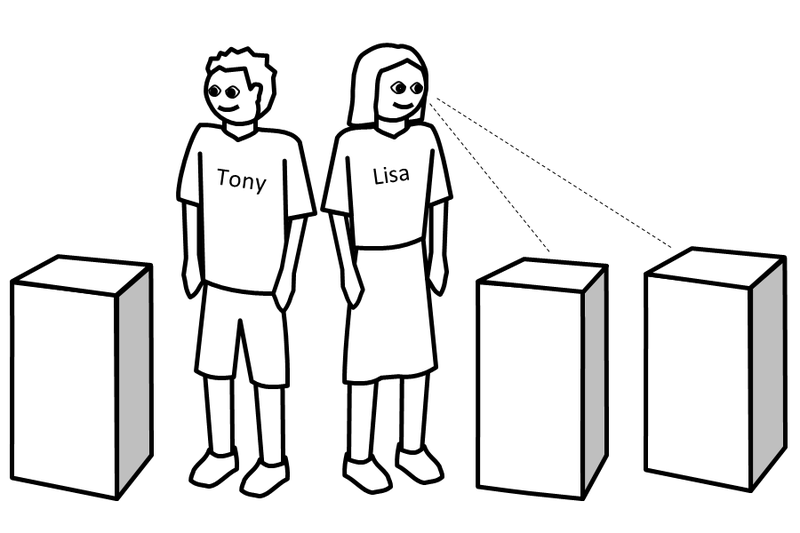 = This thing Lisa sees is the same thing as Tony sees. 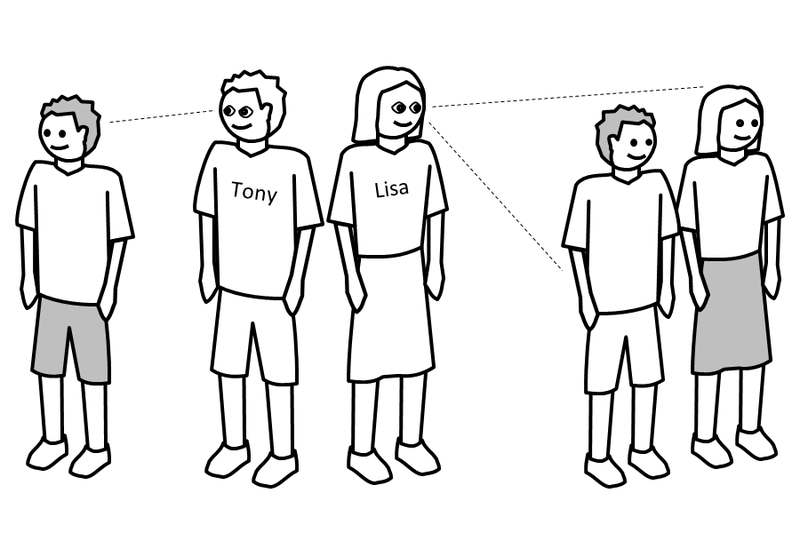 Tony sees one person. 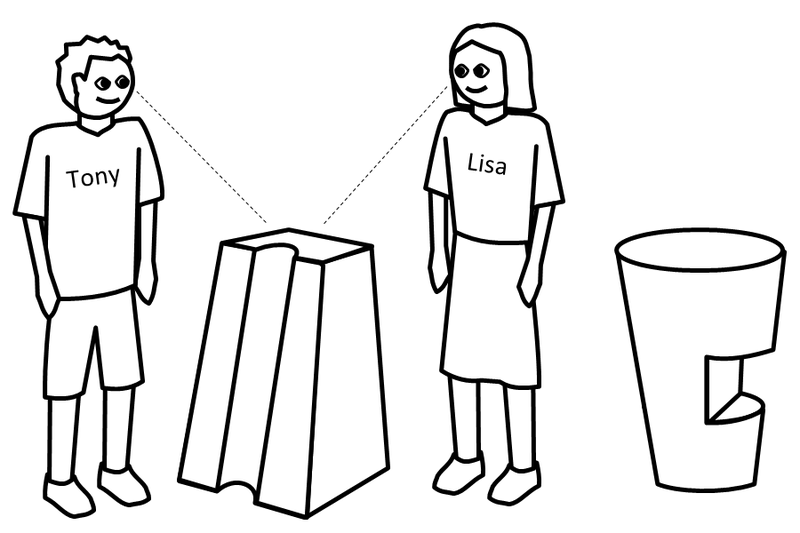 Lisa sees one person.